It's been a while since I've reviewed a Mega Man figure here on the blog, but I've recently managed to rectify that with the arrival of my very own Figuarts ZERO Sigma figure, courtesy of Bluefin and Tamashii Nations. Over on Rockman Unity, Ucchy brings us a sneak peek of the Rockman X Sound Box, the all-new Mega Man X soundtrack compilation. Ucchy confirms the 12-disc set will feature a total of 490 pieces from the entire X series, including the likes of Command Mission, Xtreme and Xtreme 2, and Maverick Hunter X. The complete tracklist is now available at e-Capcom. The e-Capcom page reveals even more music goodness. 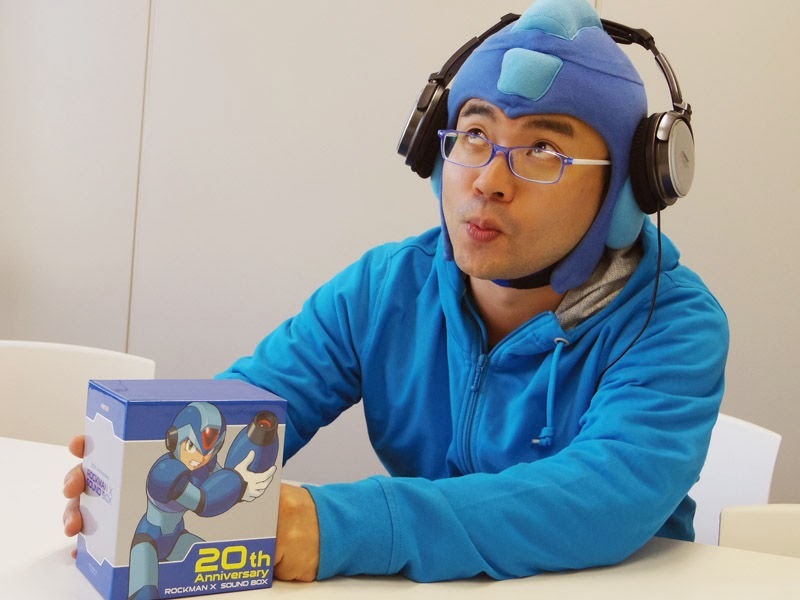 First, we are now able to confirm that both the SNES and PSX versions of Rockman X3's soundtrack will be featured. Second, Capcom is throwing in tracks from rare Rockman X8 Special Sound CD (according to Ucchy, they had a bit of trouble hunting the source for this guy down!). Lastly, Capcom is packing in unused music from X1 on the 12th disc. It's a single track, but it's bound to be interesting. The Sound Box is still on track to release December 18th for ¥12,600 (roughly $129 US). Although it's currently a Japanese exclusive, CD Japan is prepping stock for importers. Might be expensive, but it's definitely turning out to be quite the collection! Owners of the Nintendo 3DS in Japan will be able to download Mega Man Xtreme (otherwise known as Rockman X: Cyber Mission) next week on December 4th. The game will run for the typical Game Boy Color price of ¥600. This would mark the first time Xtreme has been made available to download. Unfortunately, I wouldn't expect to see this on our shores before the Classic Game Boy titles finish their run. Whenever that will be. The Nintendo Community Fangame Convention is an annual online event for fan-game developers to demonstrate projects currently in development. 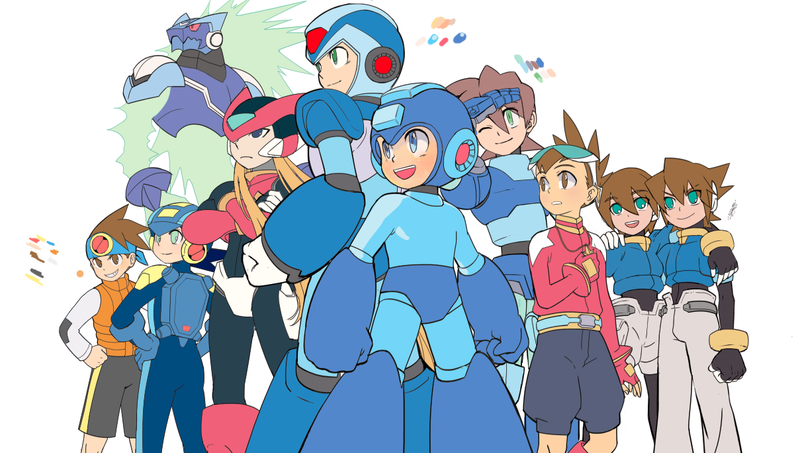 This year, Mega Man aficionados will have the opportunity to play three titles: Mega Man Battle Network: Chrono X, Mega Man Perfect Harmony, and Mega Man: Day in the Limelight 3 (beta version). To participate, simply click the links above and give the games a spin. If you want more to do, head to the NCFC forums and send the developers some. Comments and general suggestions are more than encouraged. To celebrate the Everlasting Peace tribute album's release, Capcom Unity is showing off a breakdown of the cover art's conception. Artist rnn takes us through the step by step process, from pencil sketch to ink. It's all quite nice, really. Everlasting Peace is now available in audio CD and digital. Grab yours from Amazon. 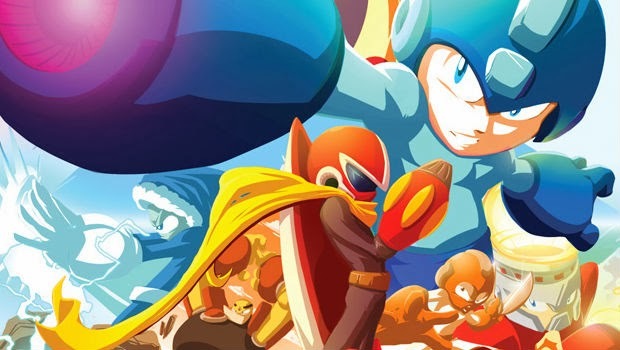 The second week of Nintendo's "Your Favorite Gaming Friends" event is live, and this time four Mega Man titles on are on sale. 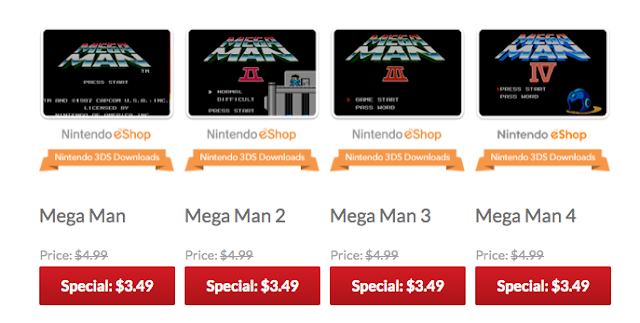 The first four games from the Classic series have been reduced to $3.49 on both Wii U and Nintendo 3DS (normally $4.99 each). The price drop runs from today to November 28th, 9am PT. Simply boot up your Wii U or 3DS and head to the eShop. Alternatively, you can grab a QR Code here. Enjoy! Good news, everyone! 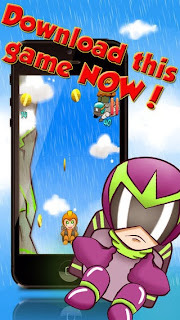 The official Mighty No. 9 site has launched! By now, most of you should have received an e-mail from Comcept with your official Mighty Number and instructions on how to register. As a friendly reminder, only Kickstarter backers are currently able to login. Didn't get your login? Patience; it may take up to a week before you get it. For more information, head to this post. The time has come for another Rockman Xover update. This update brings the new EX World 1 stage, which is a more challenging version of World 1 with the same bosses. To obtain the EX World, simply defeat all World 1 bosses at Level 8. Furthermore, OVER-1 is getting a new armor. Dubbed OVER-2 Spec 2, it's currently the most powerful armor in the game, rendering previous armors obsolete. I guess it's safe to assume Spec 2 models of previous armors will be along some time. Hit up Capcom Unity for more images. In celebration of their 30th anniversary, Capcom of Japan is teaming up online retailer Furu1 for some special Capcom themed mobile phone cases. 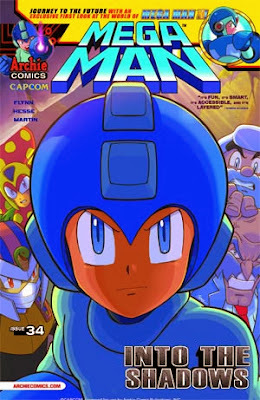 This includes Mega Man, as well as other "legacy" franchises like Son Son, Ghouls N' Ghosts, and DarkStalkers. You can check out some of the designs, each boasting a very familiar sprite style, here. Supported phones include the iPhone family, Xperia Z and Z1, and the Galaxy S4 and S3. Each case runs for 2,980 Yen (roughly $29.83 US). This is it! The issue every Mega-fan has been demanding! The debut of Mega Man X! But first, in 'Shadow of the Moon' Part One: Mega Man joins a research team seeking the truth behind Dr. Wily and Ra Moon. But how far will they get when Shadow Man goes on the attack? Then, in 'The X Factor' Part One: jump 100 years into the future as Dr. Cain discovers Dr. Light's final, greatest creation - Mega Man X! 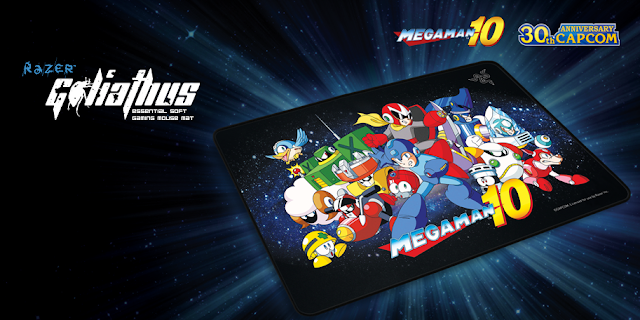 Featuring pencils by the returning Mega Man art legend Patrick 'Spaz' Spaziante! The road to the next big mega-crossover starts here, featuring an exclusive Mega Man X variant cover by superstar artist Ben Bates!" First I've heard of this "next big mega-crossover." Could it be? 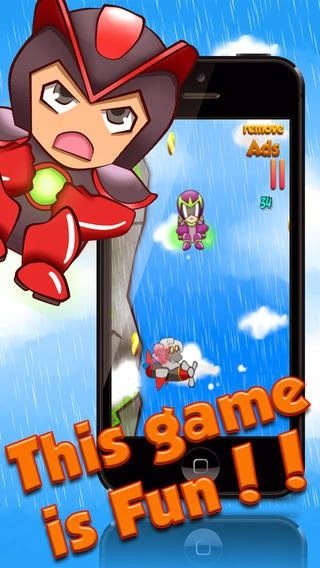 A Mega Man/Mega Man X crossover? I suppose we'll have to wait and find out. Stay tuned! RushJet1, composer of the fantastic "cover playthrough" for Mega Man 3, has returned. 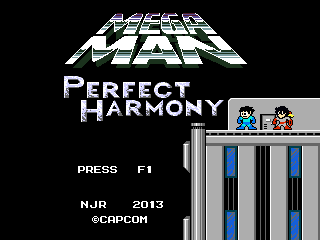 This time he's rearranged Mega Man 1's soundtrack with added stereo and VRC6 effects. Developed by Konami, the VRC6 chip added three additional sound channels to the typical NES's four. Apply it to Mega Man's soundtrack and, well, you've got magic. The above video is a complete gameplay run of Mega Man using the new soundtrack. You can listen to or purchase it from Bandcamp as well. If you're a fan of Mega Man music (or chiptune in general), you can't go wrong here. Thanks to Tony for the tip! As many of you know, the Dead Rising games frequently feature Mega Man fan service, with Dead Rising 3 being no exception. 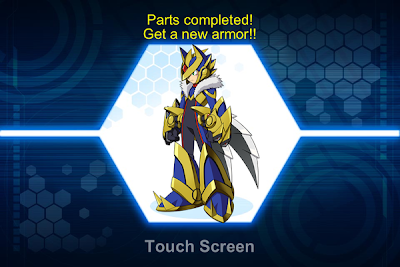 Revealed in the trailer above, new protagonist Nick Ramos will don Mega Man X's First Armor. According to Polygon, the outfit will be awarded to players upon finishing the game. The X-Buster comes separate; awarded to those who successfully complete the devilishly hard Nightmare Mode. Click here for more details and images. Dead Rising 3 debuts November 22nd. Check Out Mega Man and Co. in "Street Fighter X All Capcom"
Street Fighter X All Capcom is launching in Japan next week for Android and iOS. The game is a "hero training RPG" which is played with card battles. Over 500 Capcom characters are represented, including handful of Mega Man familiars. So far fourteen characters from Mega Man, Mega Man X and Mega Man Legends have been confirmed, each represented in a unique "chibi" art style. See what they look like after the jump below! According to a list of this week's European eShop releases, Mega Man X2 will be available on the Wii U Virtual Console this Thursday for €7.99 / £5.49. As per usual, if you downloaded X2 on Wii, you can score the Wii U version for a discount. Hopefully the North American release isn't too far behind. 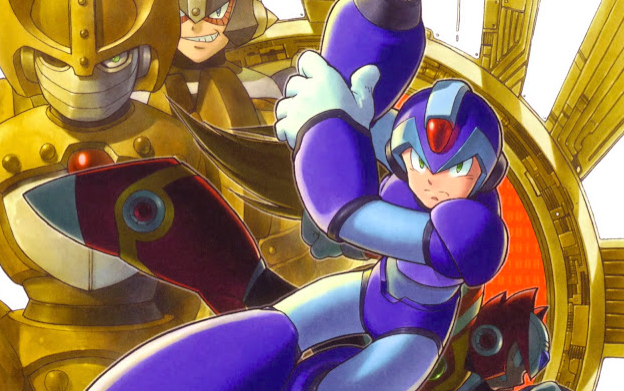 Mega Man X2 is the last title to hit the Wii U Virtual Console in Japan. Let's hope we'll finally get Mega Man X3 next. As we await the launch of the Mega Man Board Game Kickstarter, Jasco has released another glimpse of what additional funding can provide. 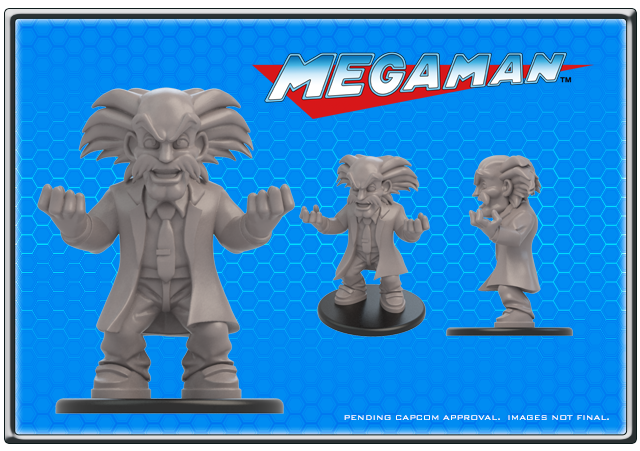 Following the previously revealed Proto Man, Mega Man and Cut Man figures, Dr. Wily's figure has come to light. Lab coat, hair, 'stache... he's got it all. The Kickstarter, which is not for funding the actual game, but raising money for additional components and features, is slated to launch as soon as Capcom gives it the go ahead. For more details, hit up the official Facebook and Twitter. Stay tuned! By way of Skyghene22, here's an in-depth 15 minute overview of Rockman Complete Works' PocketStation mode, "Pock Rock", running on the new PocketStation PlayStation Vita app. It's still exclusive to PS+ subscribers in Japan, but you can at least get an idea of how authentic the thing is on today's hardware. Keep those fingers crossed for a worldwide release. If the app goes abroad, it will be the first time many players can experience Pock Rock outside of Japan! 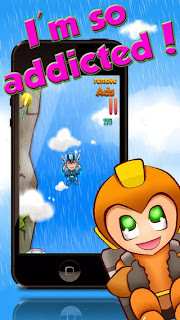 Hotel Romeo Media is a mobile developer with a reputation for releasing titles whose settings and characters can sometimes be wholly unoriginal. The company's latest "masterpiece", A Boulder Sprinkle Adventure: Boom of the Giant Sheep Tsunami Splash, flagrantly steals a few familiar faces from the Mega Man universe. Heads-up! 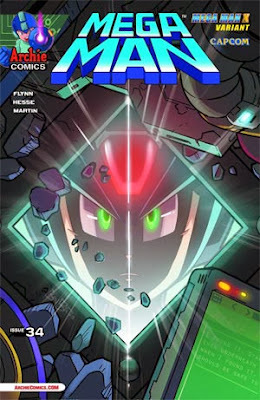 The thirty first issue of Mega Man will be blasting its way into comic shops and newsstands soon. While you wait for the mailman, head over to Destructoid for a full five-page preview. Both variant covers on also on display, which, might I say, look fantastic. Mega Man #31, the third part of "Blackout: The Curse of Ra-Moon," pits Mega Man and Break Man against a common foe. The fate of the globe rests on the estranged brothers' reunion! You can check out all the action here. the "Curse of Ra Moon" Part Three. Sony Computer Entertainment recently teased the return of the PocketStation, and today they delivered. The PocketStation, a memory card peripheral which acted much like the Dreamcast's VMU cards, is back as a free app for PlayStation Vita. 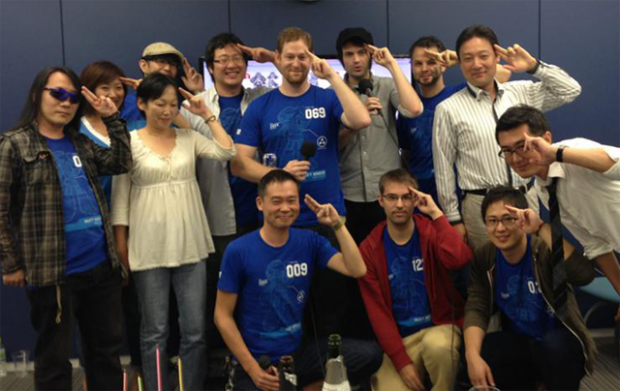 At present, it's only available to PS Plus users in Japan. Why is this Mega Man-related? As you may well already know, the original PlayStation saw numerous Rockman releases in Japan which never made their way stateside, and among those releases were the six Rockman Complete Works titles. Used in conjunction with the later Complete Works games, players could send their Blue Bomber to the PocketStation and train him on-the-go in a mode dubbed "Pock Rock." By completing various micro-games, Rockman would be awarded with additional max health, increased running speed, and a more powerful buster. Alternatively, the PocketStation could increase the stats of the Robot Masters in the games so that they would offer a more significant challenge. 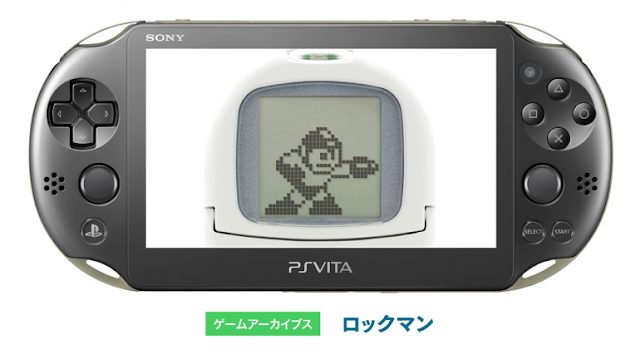 Among other titles, the Vita PocketStation app will work with the PSN versions of Rockman 1-6. Unfortunately there's no word on a worldwide release. However, the original peripheral did work with some compatible English titles... so maybe we shouldn't count it out yet? We'll keep an ear out, I suppose. It's really too bad The Misadventures of Tron Bonne isn't on PSN -- those PockeStation minigames are amazingly adorable. Peter hopes to bring additional content to the beta soon including more stages, modes and other goodies. Stay tuned! If you're in the market for a new gaming mouse mat you might want to check out Razer's latest offering. The company is rolling out an officially licensed, limited edition Mega Man mat designed for comfort play and seamless mouse gliding. It's available for pre-order here. So... Mega Man 10 is an interesting image choice. I mean, the game isn't available on PC. It really should be, but it isn't. I like to imagine PC ports of MM9 and MM10 were among topics discussed by those "top men"... but alas, it's not to be. Think of this as compensation, I guess.